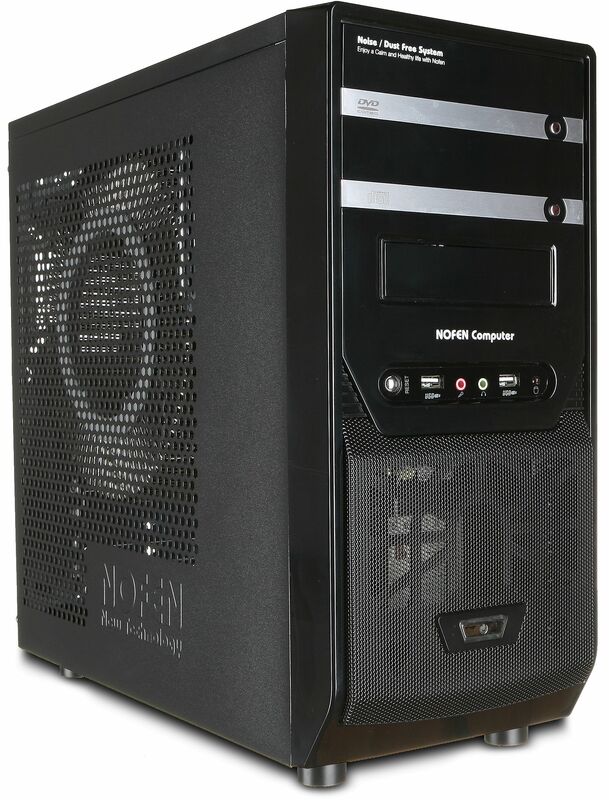 This case offers excellent cooling in a compact design and is especially suited to fanless PCs because of its ample convection ventilation holes. The CS-30 is a midi-sized computer case that is perfectly suited to house a fanless PC system. The main reason for this is that the case is perforated with many ventilation holes, as you can see from the image. These holes allow the hot air generated by the system to be easily and quickly removed from the case without the use of any fans! The layout out of the case is unconventional in that the power supply is installed toward the front of the case, which provides extra room to allow a full-size ATX motherboard to be installed. The case gets 5*, not for it’s build quality, but for it’s value for money and functionality. It looks excellent, does the job, and was very fairly priced. It was a bit of a faff to install everything as no manual/instructions are provided. For example, it's not immediately obvious that to fit an optical drive you first must remove the front panel, held on by 6 hidden screws, the rear 3 of which require the rear panel to be removed. Also, slotting in the GPU card require a fair bit of fiddling as the main board sits VERY close to the rear panel. But be patient, don't force anything, it will all go in safely... eventually! The layout places the PSU at the front under the usual optical and hard drive slots, plug socket downwards (extension cable is built into the case). You may want to reverse the fan in you PSU to pump upwards and inwards to allow for this. This results in a full size ATX case that is no larger than a typical mini-ATX case. just bear in mind that PCI cards can't be any longer than a usual ATX main board else they'll hit the graphics card. Regarding AMD processor sockets, that is about an extra inch clearance above the main board to hopefully allow for the large NoFen fanless CPU coolers. This measures in at roughly 110mm from the centre of my CPU. The case is VERY lightly built. But.. it does what it says on the tin. Or in this case, possibly papier-mâché! Joking aside, it still does what is needed, and is strong enough for desktop use, but I wouldn't advise carting it about to LAN parties etc. The main selling point is the functionality. so how does it do? Well, my previous case ran 3x 80mm fans: rear case extraction, CPU, and PSU. Each fan ran 19.6CFM at 15dB, and typical system temps were about 40degC. With this case setup I'm running only 2x fans, one in the PSU running 15CFM & 6.5dB @ 1,100rpm, and another the same on the CPU, but it tend to be run at just 700rpm, so presumably less than 15CFM and 6.5dB. The result... system temps around 37degC and so little noise that the loudest thing is the faint electrical whine from my monitor and speakers! So in would I have been any happier with a much larger case costing twice as much? This is after all the cheapest full ATX case on here at present. Well, installation might have been easier, but I don’t think it would have functioned any better as a result. and that functionality is epic, and even more so when you consider the price. So all in all, I’m very happy! The product does the job, though nobody could accuse it of being anything other than functional. Building a quiet PC, if you're putting it in the living room, best to hide it behind the sofa. It doesn't have lots of racks for drives etc., so keep it simple. But it doesn't overheat.